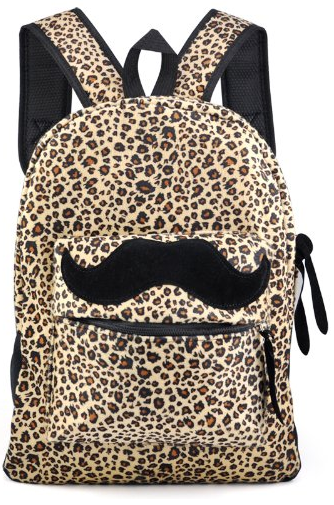 Mustache Leopard Print Backpack Only $9.16 PLUS FREE Shipping! You are here: Home / Great Deals / Amazon Deals / Mustache Leopard Print Backpack Only $9.16 PLUS FREE Shipping! I love how fun and unique this is!